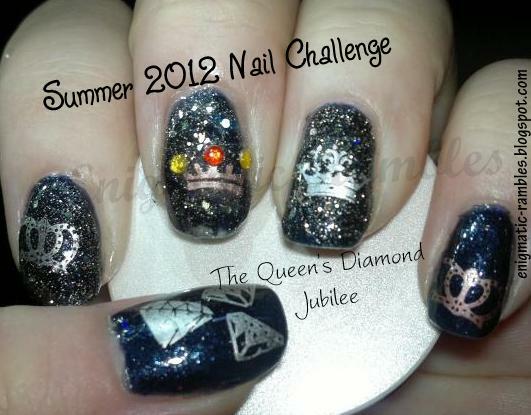 The Queen’s Diamond Jubilee is the challenge for today, apparently this means she has been Queen for sixty years. Sort of makes me feel sorry for the woman as she hasn't really had any time to be a real person. Lovely!!! We both did the gems stamp on our thumbs lol! Great minds think alike! I hadn't even thought about that!